With the ability to transform ordinary ingredients into delicious dishes and everyday moments into precious memories, the kitchen is, without a doubt, a magical and wonderful place. More than just a combination of various appliances and equipment, a kitchen should have its own distinct style and personality that makes each moment in the space worth sharing. 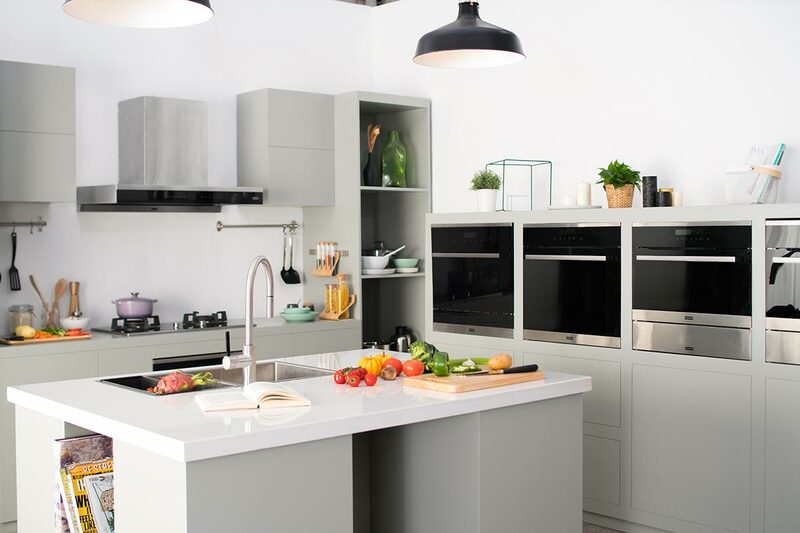 Here are 3 reasons why the state-of-the-art ONYX Collection from kitchen appliances manufacturer Franke will provide you with an enhanced cooking experience. There’s no denying the importance heat plays in our daily lives, and things are no different when it comes to cooking. Before your delicious dishes hit the dining table, the ingredients have to go through a steady and consistent heat source for flavours to be fully brought out. Unlike traditional burners, the ones from the ONYX range feature a breakthrough triple fire-distribution innovation. This means that each flame on the triple-ring burner is kept in a separate, independently controlled fire zone, allowing for a more even distribution of heat to result in evenly-cooked dishes. To counter the smells and odours that result from heavy cooking sessions, every good cook knows a good quality hood is necessary for keeping your kitchen clean and fresh day after day, especially in an open-concept kitchen. 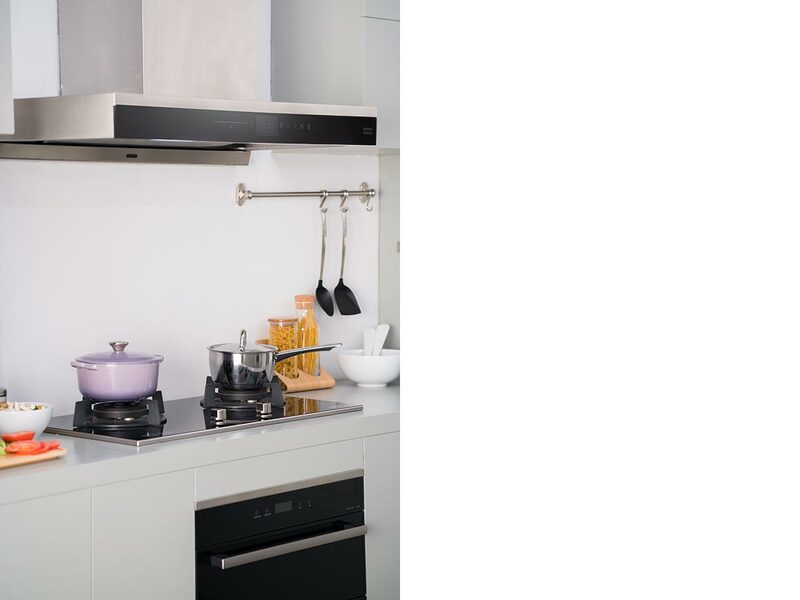 Encompassing a new Umbrella Air Suction structure that is designed according to the rules of aerodynamics, ONYX hoods are engineered to extract kitchen fumes immediately upon emission, leaving the air quality in your home pollution-free. Whether used for preparing hearty Sunday roasts, BBQ grilling or baking sweet treats, the oven is one of the most versatile appliances in the kitchen. Providing 360º heat and precise temperature control complemented by 10 different heating modes, ONYX ovens are able to meet the needs of users across all cooking purposes. Afraid of accidentally scalding yourself on the hot oven door? Don’t be, for the triple-layer insulated glass and the smart anti-dry-burning function effectively prevents scalding. And with a child-lock function, inquisitive children will also be protected from any accidental incidents, making the kitchen a safe space for both young and old alike. Even as your home-cooked dinner session draws to a close, it doesn’t mean the work is finished for there is still a stack of greasy utensils and equipment waiting in the sink to be washed. Dreading that chore? Well, what if you can simply press a button and watch the dishes “clean themselves”? 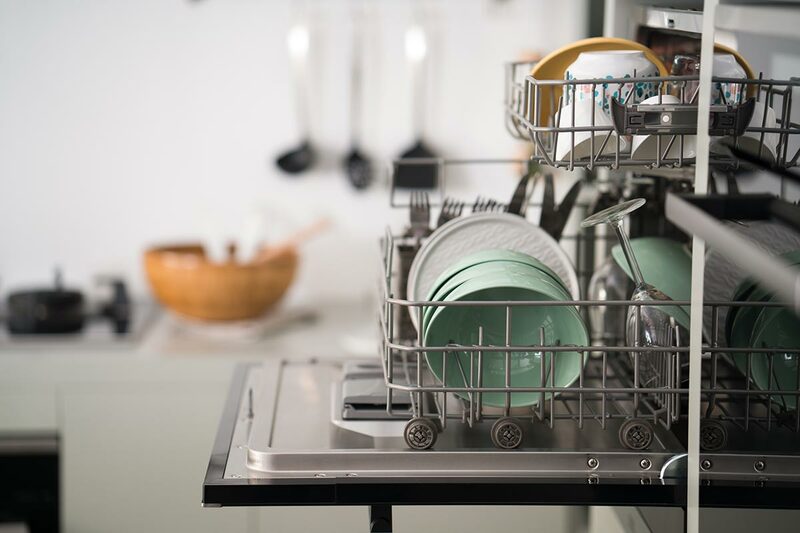 Equipped with a super-efficient double swirling and jet-washing system, ONYX dishwashers are able to wash and sanitise your tableware and cookware at the same time. Measuring 60cm x 60cm, they can easily fit into cabinets of various heights too. At its core, the ONYX collection truly embodies a great design concept. Coupling a timeless and elegant design aesthetic and professional cooking functions that elevate the overall quality of life, the new range of kitchen appliances is the perfect accompaniment for all busy working professionals who still want to share their love for great food with the ones they hold dearest.